Become a member and get unlimited streaming and heavily discounted downloads of premium content, and 20% off discounts most items in the store! Thank you for being a member! Your Premium Content member discounts will be shown in the shopping cart. Hi there! Some of you know me as PhotoJoseph; photographer, LUMIX Luminary, lynda.com/LinkedIn Learning author and the host of the week-daily LIVE PhotoJoseph’s Photo Moments YouTube show, and of course a huge fan of the LUMIX GH5. Some of you know me as the host of this site, PhotoApps.Expert. Either way, you know me as someone who loves photography, and loves to teach — and I've produced an in-depth video training course on the Panasonic LUMIX GH5 camera. As a LUMIX Luminary, I've had my hands on it longer than most, and understand the intricacies of the camera very well. It's a incredible machine, designed for video and still shooters alike, and if you want to get the most from it, you'll want to watch this course! VERY IMPORTANT NOTE FOR LYNDA.COM / LINKEDIN LEARNING SUBSCRIBERS: This course is available for purchase and download here, AND will also be available for streaming on lynda.com / LinkedIn Learning. If you are a lynda or LinkedIn Pro user, you will be able to stream the course from them as long as you're a paying subscriber. If you purchase here, you'll be able to download (but not stream) the training, and it's yours to keep indefinitely. This course endeavors to appeal to a broad range of users, from the beginner to the serious enthusiast. We cover things as basic as the PASM dial to as advanced as an introduction to V-Log L. Basically… if you're a GH5 shooter, this course is for you! These two videos are complete lessons from the course, provided as samples so you can see exactly what the course content looks like! Once you've watched the training, head over to GH5 Supplemental Info Page for all the links, extra videos and downloads that I referenced. This course is definitely worth the money. 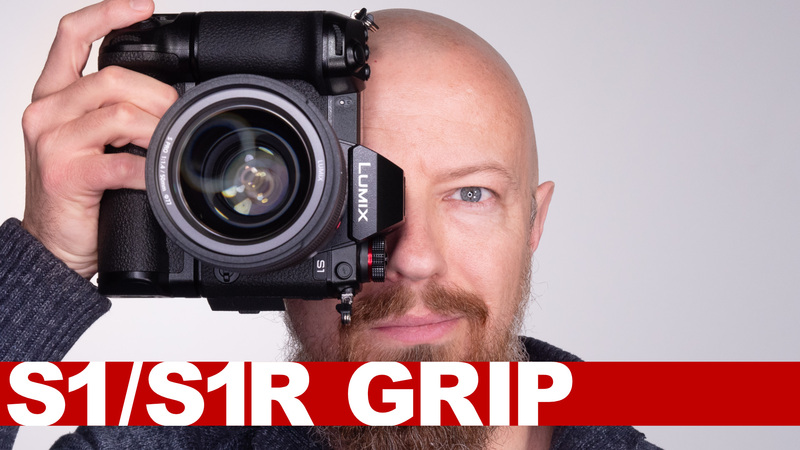 It’s all very well looking things up on Youtube, but Jospeh will teach you things that you didn’t even realise you needed to know about the Gh5. He’s a really good teacher. Thank you Photo Jospeh! This course is not cheap but IMO great value for money and for sure better than any book you will be able to buy (there are and won’t be much for the GH5). I consider myself an “advanced” user with Lumix cameras but still got many neat “tips and tricks” out of this course. Just finished the course and WOW. There is a wealth of information. The GH5 is my first “real” camera. I am brand new to all of this and found this course extremely beneficial in so many ways. It was fantastic. Thank you. Im on Windows 10 .. I downloaded and extracted the SIngle Link/Complete download … and the zip was corrupt. only chapters 1,2,3,8,9,10,11,and 12 extracted … I then went and downloaded the Missing chapters using the Single links for the specific chapters and they extracted just fine HOWEVER the file names ..are .. basically ascii or something… Im assuming this is ALL due to the file system format difference. OSX -> Win 10. GH5 Training &#x393;Çö┬áChapter 4, Video 0 &#x393;Çö Introduction ect.. Sorry about that Wali. You're right, it has something to do wtih the OS differences. What's really strange is that you're seeing different garbage characters than I've seen someone else report. I will do a complete rename and re-upload once I'm back from my trip. I wanted to do it before I left but ran out of time. I think it comes down to the em dash (this long dash that I'm fond of —) being used because that's where the problems seem to be. You were able to get all the videos though ultimately, right? i watch all YouTube Shows from Joseph and have told all my friends to watch them. one friend bougt the gh5 cause of the Shows from Joseph. the Course is fantastic, i have learned so much and am still learning Things, you don´t find in the Manual. i started 2009 with the first gh1 and i am very happy with panasonic cameras. i also own the fz 2000. Thanks, Joseph, for your great work! I have a problem with using your settings file. It loaded OK and told me to switch off and on again as my frequency setting had changed . Did that and I had all your settings but i was in NTSC. I want to be PAL as I live in England. So reset that and switched off then on again. Now all your settings have gone and I have the settings I had when I first had the GH5. Looks like I will have to enter them all manually. Do you have a written list? That's odd. I just switched frequencies on my GH5 and all the settings stayed. Try this… set your camera to NTSC, load my profile, then switch to PAL. Please let me know (and no I don't have a written list… although I could and should do that). 2 Switched off then on. 4 Checked that the settings had loaded, took a picture. Switched off. 6 Told system freq had been changed. Switched off then on again. 7 Told to set home location. It didn’t need changing. 8 All new settings lost. Back to PAL again. I hadn’t changed it yet. Hey here's a thought… are you on version 1.1 of the GH5 firmware? I think that could cause a problem if you're on 1.0. That is so odd. I can switch mine to any frequency, turn off and on all day long and all my settings work across all frequencies. Even the C settings, which when set to something like V-Log L at 23.976 in NTSC, automatically switches to 25p in PAL and 24p in CINEMA. I'll ask Panasonic if there's a difference that'd cause PAL country vs NTSC country cameras to not load the settings files properly. The only issues I'm hearing appear to be coming from PAL countries. Weird! Very good tutorial, I learned something from each video. that was money well spent. Don’t want to read boring GH5 manual? It’s like 300+ pages. This is the course for you. Excellent V-LOG, Sound chapters! Thanks, Joseph! If like me you are new to the GH5, this is the course for you. Presented in a way that makes it easy to find your way around what is a very comprehensive camera. Fantastic value for money, thank you PhotoJoseph! Hi Joseph, Cant down load Chapter 3 video 7, Please help. Fixed now… I'd mistyped a URL in the code. Looking forward to the rest of the course if its all as good as this. Thank you PhotoJoseph! I’ve been using my GH5 heavily and getting familiar, but this is my first Panasonic camera. This video tutorial helped me discover even more tips and tricks that just aren’t clear when you stumble along the manual, scattered online tutorials. Finishing these tutorials speed up the learning curve and help you understand better just how to get the most out of your GH5. Thanks, Joseph! This course is just awesome. If you want to know what GH5 is all about and every nitty gritty details about the GH5 camera, it is all here . If anybody is buying the GH5 Camera this is the video training and manual the GH5 users deserve. Just amazing work by PhotoJoseph. Best 59 bucks ever spent.